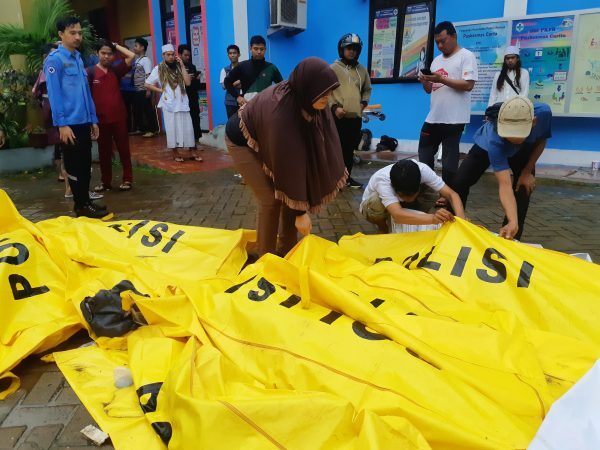 As rescue efforts turn to recovery in the wake of the tsunami that killed at least 222 and injured over 800 in Indonesia, questions mount as to the efficacy of the early warning system. An underwater landslide caused by volcanic activity triggered the tsunami, which slammed into the Indonesian islands of Java and Sumatra on Dec. 22, leaving havoc and devastation in its path. The wall of water crashed into hotels, houses, and a group of people attending a beach concert. Video footage shows the moment the tsunami flooded the venue, leaving band members dead or missing. “Underwater I could only pray,” Zack, a crew member of the band, said on Instagram. “In the final seconds I almost ran out of breath,” he said, adding that he held onto a collapsed part of the stage to survive the ordeal, reported Channel News Asia. 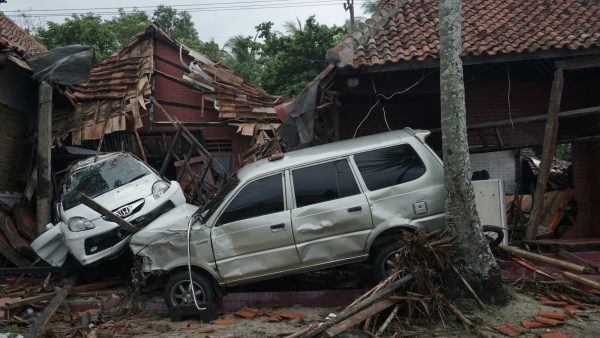 Hundreds of homes and other buildings were “heavily damaged” when the tsunami struck, almost without warning, along the rim of the Sunda Strait said Sutopo Purwo Nugroho, spokesman for the disaster mitigation agency. Thousands of residents were forced to evacuate to higher ground. By 5:40 p.m. local time, Sunday, Dec. 23, the disaster agency had raised the death toll to 222, with 843 injured and 28 missing. Nugroho said that 556 houses, nine hotels, 60 culinary stalls, and 350 boats were known to have been damaged. Authorities said a warning siren went off in some areas. Professor Dougal Jerram from the University of Oslo explained that tsunamis caused by volcanic activity might not trigger a warning and can strike unexpectedly. “Tsunamis can be caused by volcanically induced landslides above or below water, and by volcanic eruptions themselves,” Jerram told The Guardian. But Professor David Rothery, who teaches Planetary Geosciences at the Open University, told The Guardian that even if warning buoys had been placed right next to the volcano that triggered the landslide, it might not have done much good. It has been a torrid year for the vast archipelago that sits on the Pacific Ring of Fire. Successive earthquakes flattened parts of the tourist island of Lombok in July and August, and a double quake-and-tsunami killed more than 2,000 people on Sulawesi island in September. And while Indonesia was the worst country affected by the devastating Boxing Day 2004 tsunami that killed hundreds of thousands of people, it still lacks the proper equipment to provide warning of an impending tsunami threat. As night fell on Sunday, rescue efforts continued but workers and ambulances were finding it difficult to reach affected areas because some roads were blocked by debris from damaged houses, overturned cars, and fallen trees. Authorities warned residents and tourists in coastal areas around the Sunda Strait to stay away from beaches and a high-tide warning remained in place through Dec. 25 as officials tried to determine the exact cause of the disaster. 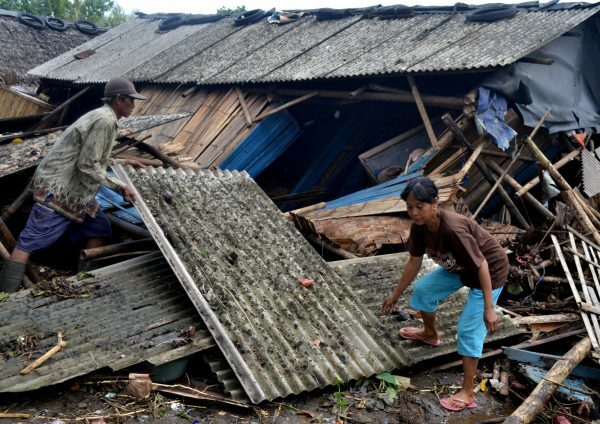 The tsunami was caused by “an undersea landslide resulting from volcanic activity on Anak Krakatau” and was exacerbated by an abnormally high tide because of the full moon, Nugroho said. Anak Krakatau, an active volcano roughly halfway between Java and Sumatra, has been spewing ash and lava for months. 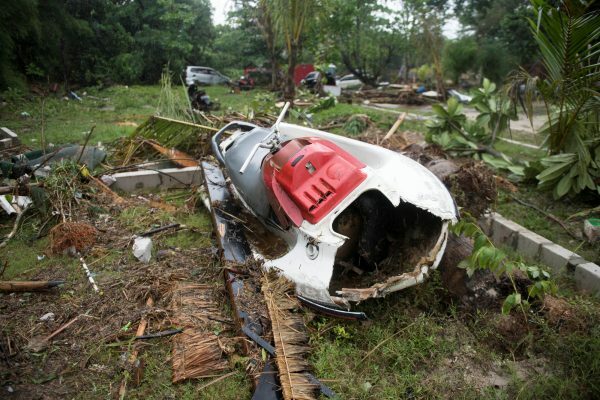 It erupted again just after 9 p.m. on Saturday and the tsunami struck at around 9.30 p.m., according to BMKG.